How do I categorize an invoice payment? How do I pass credit card fees onto my customer? 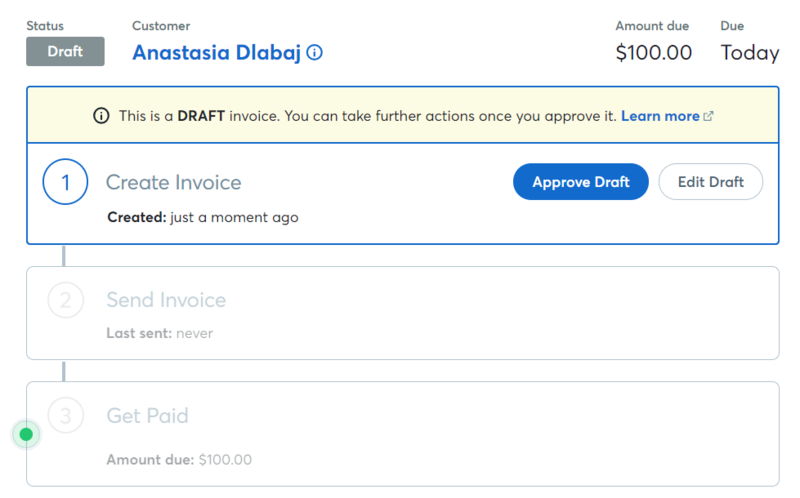 Creating an invoice is one of the first (and most common) things you'll do in Wave, and Wave makes creating and sending invoices easy. Click on Sales in the menu at the left of your screen and select Invoices. Choose an Invoice number. 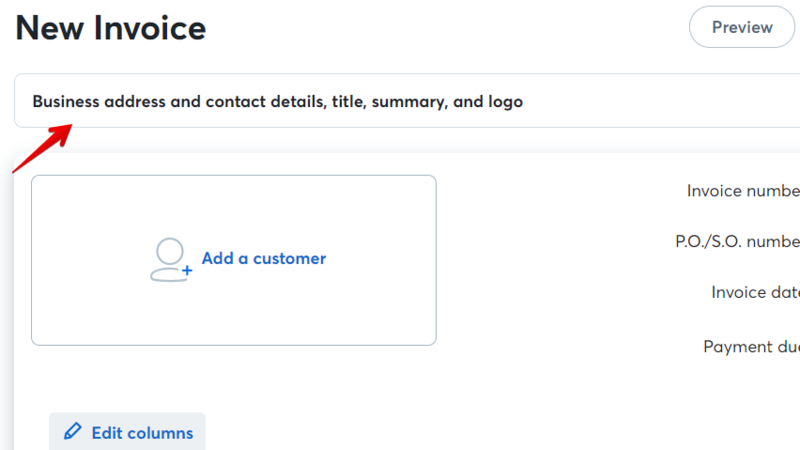 The next invoice number will generate for your convenience or you can type in a number of your choice as long as it has not been used for another invoice. Select a Customer by clicking on Add customer. Either select the Customer from the drop down or type in the Customer name. Choose a Date for the invoice, a Due Date for payment, and a P.O./S.O. (purchase order/shipping order). Add/edit the Subheading, Invoice Title and Business Information by expanding the header above the Customer Section of the Invoice. Add/edit the Footer information by expanding the Footer section at the bottom of the page. If you have already set these when you customized your invoices, they will appear automatically. Click Add an Item to add the product or service you are invoicing for and select it from the drop-down menu or by typing in the item name. Be sure to fill in the following fields for the product: Description, Quantity, Price, and Tax. If you entered a price when you added this product, the Price field will be automatically filled, but this can be changed here if necessary. Select a Currency from the drop-down menu. Currency will default to the currency you have set for the Customer you are invoicing. Click Save to convert invoice to a Draft or click Preview to view invoice before saving. Clicking Save will save the invoice but not make any changes to your accounting. Approve Draft once you are satisfied with the invoice. Approving the draft will allow you to send the invoice, however, changes can still be made to invoice after this point. This will save the invoice and make the necessary changes to your accounting. The invoice will now appear on your Invoice page! If you delete data in Wave, you won’t be able to recover it. Because you own your financial information, if you delete it, you’re telling us you don’t want us to store it anymore. So we won’t! Anything you delete (invoices, bills, manually created or imported transactions, journal entries, and pretty much anything else you can add) is gone forever once it’s deleted. This includes your entire Wave account, should you choose to close it; you can read more about that here. If you do delete something you realize you need back, you’ll need to enter it or create it again. You can reference information from outside Wave to help with this, like bank statements, bills, or receipts. We don’t store any of your old data or older versions of your account, so make sure you definitely want to delete something before you hit that button!